Kick off your visit on the 8th (Mon): make a trip to La Ermita de San Miguel Alto, get to know the fascinating history of Albayzin, then contemplate the long history of Mirador de San Nicolas, and finally stop by Munira. 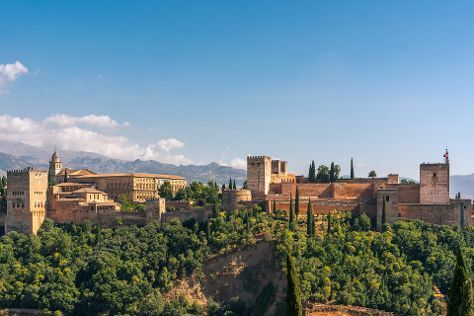 Plan my trip to Granada with suggested itineraries provided by Inspirock. Cairo, Egypt to Granada is an approximately 12.5-hour flight. You can also do a combination of flight, taxi, and train; or drive. The time zone changes from Eastern European Time to Central European Time, which is usually a -1 hour difference. Traveling from Cairo in October, expect Granada to be slightly colder, temps between 28°C and 14°C. Cap off your sightseeing on the 9th (Tue) early enough to go by car to Ronda. Renowned for its deep gorge, the quaint, whitewashed village of Ronda has preserved its charm as an Andalusian country village. Change things up with these side-trips from Ronda: Parque De La Paloma (in Benalmadena) and Marbella Old Quarter (in Marbella). There's lots more to do: take in the views from Puente Nuevo, hit the best photo ops around with an inspiring photography tour, admire the striking features of Casa Don Bosco, and take in breathtaking views at SierrAventura Ronda. 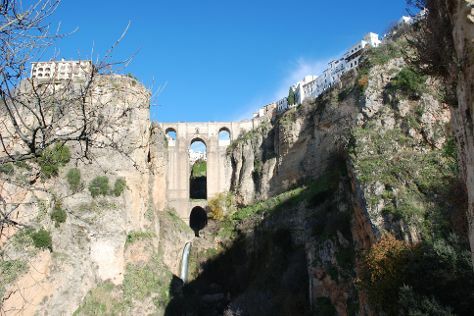 To see ratings, reviews, photos, and more tourist information, go to the Ronda trip itinerary website . You can drive from Granada to Ronda in 2.5 hours. Other options are to take a train; or take a bus. In October, plan for daily highs up to 30°C, and evening lows to 17°C. Wrap up your sightseeing on the 12th (Fri) early enough to drive to Seville. 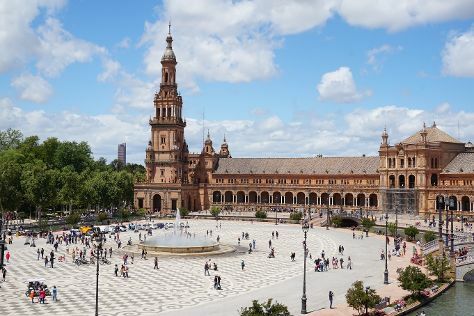 Kick off your visit on the 13th (Sat): stroll through Royal Alcázar of Seville, then brush up on your military savvy at Torre del Oro, then admire the natural beauty at Parque de Maria Luisa, and finally admire the landmark architecture of Plaza de Espana. On the 14th (Sun), you'll have a packed day of sightseeing: take in panoramic vistas at Torre Giralda, admire the striking features of Metropol Parasol, then wander the streets of Barrio Santa Cruz, and finally take some stellar pictures from Seville Cathedral. For more things to do, traveler tips, other places to visit, and tourist information, refer to the Seville day trip planning tool . You can drive from Ronda to Seville in 2 hours. Another option is to take a bus. In October, plan for daily highs up to 30°C, and evening lows to 19°C. Wrap up your sightseeing on the 14th (Sun) early enough to travel back home.